In late 2015 Apple launched a tablet that they called the iPad Pro. 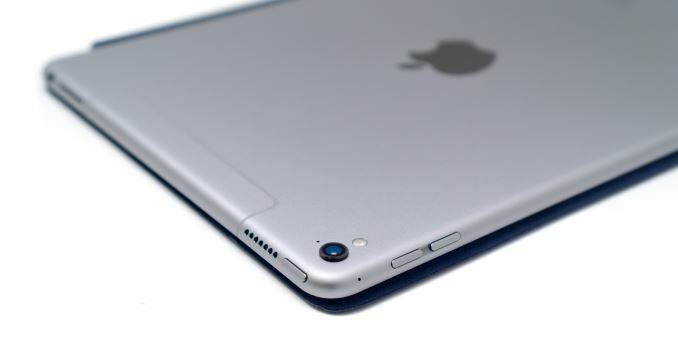 It had been rumored for quite some time, and it had a number of features that differentiated it from other iPads. The most notable was its 12.9" display, which has a width equal to the height of Apple's 9.7" iPads, allowing it to use two essentially full sized iPad applications at the same time in a split screen view. In addition to its massive display, the iPad Pro came with two accessories that had not existed for any prior iPad. It seemed that in Apple's eyes the Apple Pencil and the Smart Keyboard really defined what made the iPad Pro worthy of the "Pro" name. Meanwhile, the launch of the iPad Pro came and went, and there was no news of a successor to Apple's iPad Air 2, which had just turned one year old. I thought that this move may have had to do with Apple not facing much competition in the tablet market. On the other hand, with iPad sales down it wouldn't generate much excitement to keep selling the same tablet for a second year. After the launch of the iPad Pro the rumor mill continued to churn out new info, and there were whispers of a so called "iPad Air 3" coming in early 2016. Later, the story became that Apple was actually planning another iPad Pro to take the place of the iPad Air 2 as Apple's flagship 9.7" iPad. In the end it turned out that Apple did exactly that, and along with bringing the specs of the larger iPad Pro to a smaller size, the smaller iPad Pro comes with some surprises of its own. Below you can view the current state of the iPad line now that Apple has two devices called the iPad Pro. 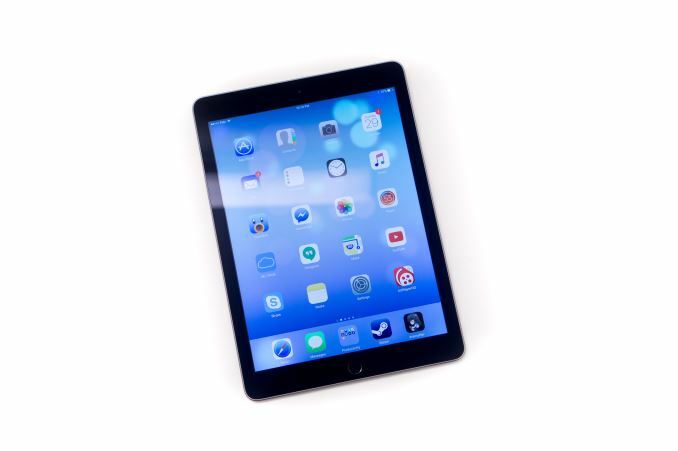 Apple iPad Air 2 Apple iPad Pro 9.7" Apple iPad Pro 12.9"
The 9.7” iPad Pro has the same core industrial design that Apple’s iPads have used since the launch of the iPad Air. The back is almost entirely flat, curving up quickly near the edges and meeting the cover glass with a shiny chamfered edge. Like the 12.9” model, the 9.7” iPad Pro changes things up by moving to a four-speaker audio setup, which requires holes drilled on both the top and bottom of the chassis. Interestingly, the 9.7” iPad Pro uses asymmetrical speaker grilles, with the bottom two being larger than those of the 12.9” model, and the top being smaller. This is likely due to the more constrained space inside the chassis. As for the speakers themselves, the audio quality did seem to be a step down from the larger iPad Pro, but it’s still miles ahead of anything else that I’ve seen on a tablet of this size and a significant improvement from the iPad Air 2. The 9.7” iPad also comes with some changes of its own. The camera now has a hump, which will undoubtedly upset those who focus heavily on the uniformity of the design. There was no good way to improve upon the iPad Air 2’s camera within a 6.1mm chassis without putting a hump, and as we’ll see later, the camera in this iPad Pro is a huge improvement over Apple’s other iPads. While the hump is there, with such a large chassis the angle it makes with a flat surface is so small that the tablet doesn’t rock back and forth when using it on a table, which is extremely important to ensure the usability of the Apple Pencil. Apple has also changed up the antenna design. Going back to the first iPads, the cellular models have sported a plastic RF window at the top of the chassis to allow for RF propagation. 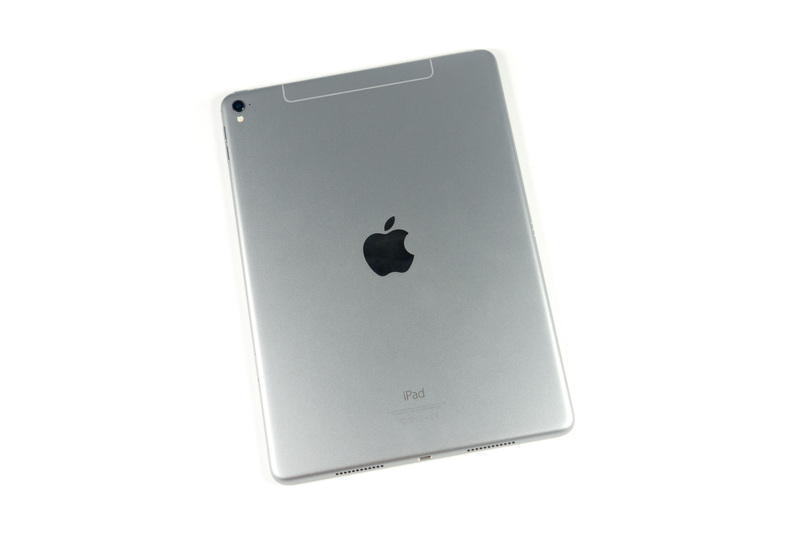 With the 9.7” iPad Pro, Apple adopts a similar antenna design to that of the iPhone 6 and 6s, where the top now has a metal segment for the antenna with insulating plastic lines surrounding it. I think this is a significant upgrade to the design of the cellular model for a couple of reasons. Aesthetically it simply looks better, as the plastic inserts weren’t color matched and so they stood out from the rest of the aluminum back cover. They also weren’t always aligned perfectly, and so at the edge between the plastic and the aluminum you could feel a noticeable seam due to the plastic being either at a higher or lower level than the chassis. The new antenna design eliminates both of these issues, and brings the 9.7” iPad Pro as close as it can get to an unbroken aluminum unibody when also having to support cellular networking. Beyond the changes with the camera, speakers, and antenna on the cellular model, the 9.7” iPad Pro has the same design as the iPad Air 2. They share the same mass and dimensions, and as I mentioned before the core ID is the same. Whether or not Apple could improve upon the design further is up for debate, but they don’t really have any true competition in this space and so they’ve been able to maintain their design lead by making iterative improvements on the original iPad Air design. That design still works very well, and so I don’t see much reason to change things up significantly just for the sake of saying you have a new design. Thank you very much for this review. iPad is a work tool for me, use is in my semi-truck. Replaced my iPad 3 (the first iPad with retina display) with this new 9.7 Pro and gut disappointed again. Paid $1030 for top version to find out that it lacks RAM and won't be a great long term investment like I desired from a product with Pro tag. Yeah, you won't want to pour a ton of money into the iPad Pro unless you know it'll be your only mobile computer and you specifically need as much storage or connectivity as possible. It would be deffinitelly good to make some broader tests. I picked up one of these 3 weeks back, I happen to use it in bed, at night, quietly. It's how I like to go to sleep. In a silent room, you can CLEARLY hear the buzz of the LCD driving chip, just put your eat right where the volume rocker is in a very quiet environment, then scroll the screen with your hand. It's quite annoying.